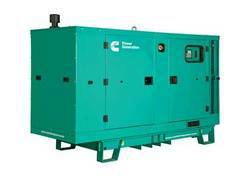 Genuine Cummins Generators are designed, produced and tested to the highest standards, ensuring fully reliable and integrated power generation systems. This 44kVA standby (40kVA primary) Cummins diesel generator set is certified to ISO8528 and is covered by Cummins warranty for the engine, alternator, and control system. This set is built with a Cummins 4-cycle, in-line, turbo charged engine and complemented by a brushless, 4-pole, single bearing, revolving field Stamford alternator. It can be built into a sound attenuated, weather protected enclosure. Its rugged design delivers reliable power, low emissions, and a fast response to load changes. For more detailed information, please view the document below.